Zapped! 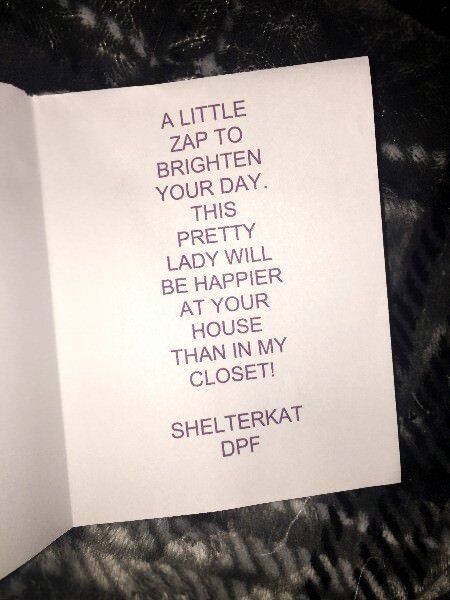 Shelterkat's zap makes an entrance to entrance! Discussion in 'Pin Zaps & Swaps' started by NutMeg, Apr 5, 2018. So the other day I got a PM from the awesome Lucy (@Disneychildwithin), who herself recently zapped me (see other thread! ), to inquire about whether or not I'd received a second package from another mysterious zapper... having been in the hospital, I figured my mom might have grabbed it for me and forgotten to say something. But it turns out it was hiding underneath the bench on my porch the whole time! Anyway, what was in the box, you ask? 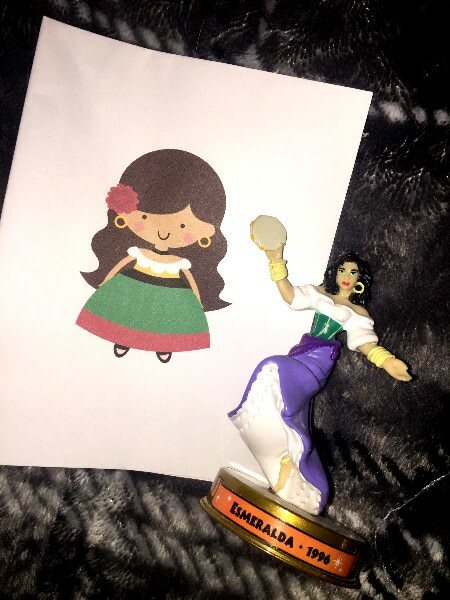 Turns out my mystery zapper is none other than the lovely Dawn, aka @Shelterkat! 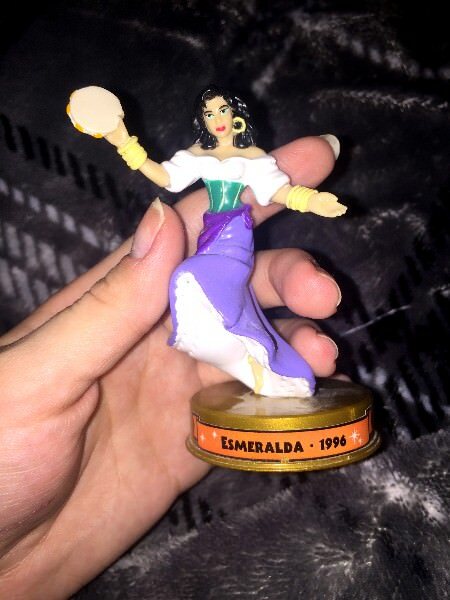 She sent me this super cute Esmeralda figurine from the McDonalds 100 Years of Magic series, which I believe celebrated what would've been Walt's 100th birthday back in 2001. 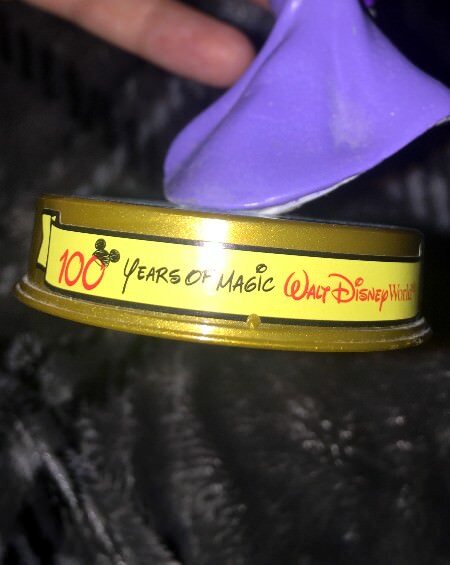 There's also that ginormous pin series of the same name, which basically includes every movie and obscure old Disney short film EXCEPT Hunchback... >_> But let's not dwell on that and just focus on how cute the zap is! Thanks again, @Shelterkat! Take a bow! PixiePost, pretty Omi, arielsdinglehopper and 9 others like this. Congrats and glad you found the package! LOL whew!! @Shelterkat is awesome!! She was prob like where did it goooo???? It's cool. We all know your porch is the secret location of the Court of Miracles. NutMeg and Shelterkat like this. I'm glad she was found! I'm so glad you like her. I love Es, especially when she sings God Bless the Outcasts, but all of the Alice stuff here kinda pushed her to my closet! NutMeg and vans4bkah like this. Omg I am so jealous! She's so pretty! Oh my gosh, she's so beautiful <3 Congrats on the zap! Congrats on the zap, it's interesting how great MCD's quality of toys was back then. Wow such a nice and awesome zap, congrats! Oh snap, y'all know about that...? So sorry to leave you hanging like that! Thank you again! <3 She's the best, I'm glad she has another fan on here! That scene/song is so gorgeous. GASP. 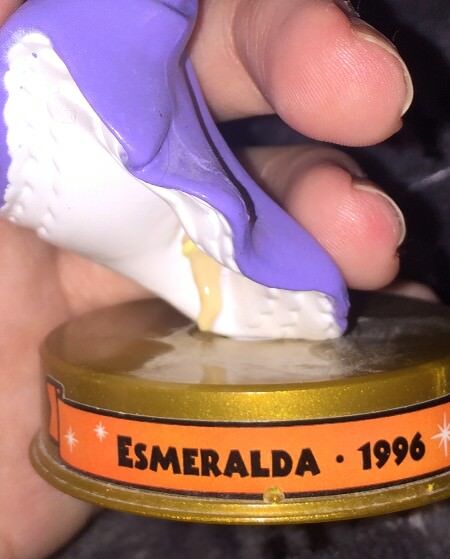 How could you besmirch your Hunchback collection with that atrocity?! Because the guy was so nice and he really really wanted one of my pins and I was wearing my Esmeralda shirt so he was like "I have a Quasi!" And I wasn't going to be the jerk who said no. It's not even the only HoND 2 pin I have, either lol. I have I'm Gonna Love You from the Magical Musical Moments collection, too.